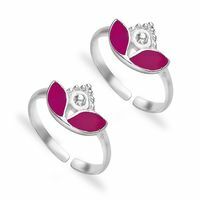 If you have a wedding around the corner, get your hands on the dazzling toe rings from Manglam jewelers. 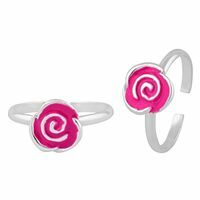 The enamel toe rings would simply look fabulous and can also be paired perfectly with different kinds of sandals. 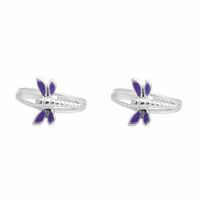 Beautify your feet with the fabulous beetle toe ring. 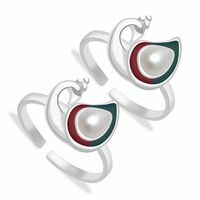 They are crafted with 92.5 sterling silver that renders it a sophisticated look. It displays an enameled beetle motif. It looks great with stilettos. 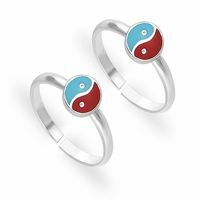 If you are looking for a toe ring that is more appropriate for parties and events, you can choose the extremely appealing enameled toe ring and become the center of attention at the party. 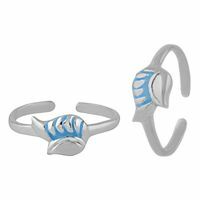 It’s a piece of jewelry that deserves a definite place in your jewelry chest. 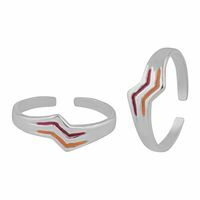 The fabulous enamel ring is also crafted with 92.5 sterling silver. 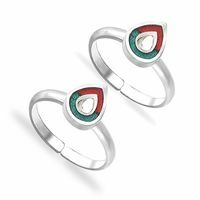 Another such wonderful piece of ornament from Manglam is the Fabulous heart shape toe ring that would make your friends lose their breath. 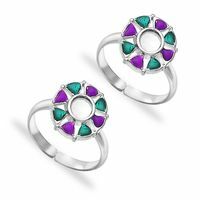 The enticing heart shape toe ring looks glossy having been fashioned in this 92.5 sterling silver. 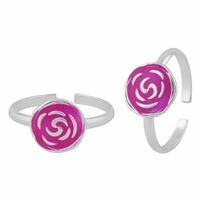 These toe rings can be used with open-toed footwear that renders matchless look and feel. 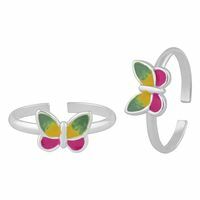 The enameled leaf shaped toe ring colored yellow is elegance personified and are crafted to fit an array of outfits.